Renting a storage unit for the first time can be quite daunting. If you have done your self-storage research, then the rental process will go much smoother. Self-storage facilities offer a variety of storage solutions including indoor and outdoor storage, climate controlled storage units and vehicle storage. Before choosing a storage facility, it is important to have an idea of what you want to store and how long you will need to store your items. 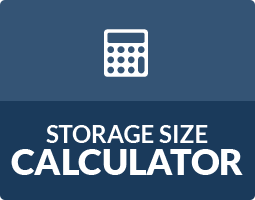 Knowing this will help you determine what size and type of storage unit you will need for your belongings. There are many factors to consider before renting a storage unit including storage unit size, pricing and security. 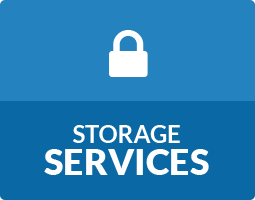 When researching a storage facility, ask for a tour of the grounds in order to get a better understanding of the security measures and access available at the facility. Look for the facility’s video surveillance systems and make sure that the facility is clean, well-lit and gated. This will also allow the first time renter to see the different types and sizes of storage unit sizes available at the facility. During the tour, ask about the gate hours versus the office hours, moving in and out details and any other special amenities that the facility has for its customers. Storage unit pricing will vary depending on the size, length of storage, type of storage unit, and if it is an indoor or outdoor storage space that is being rented. Once you have chosen the best storage unit size for your needs, the next step is to fill-out the rental agreement. What do you need when you rent a storage unit? Storage facilities could ask for a valid photo ID, current contact information and proof of insurance. When renting, ask the storage professionals about discounts that could apply to your storage unit rental. Most storage facilities offer first time rental discounts and military discounts. As a new renter filling out a rental agreement, the facilities lease and payment terms should be discussed. Ask the storage managers what type of payment, either cash, check or credit card, the facility will accept. Lastly, find out how to set-up an online account while you are finishing the details of the storage unit rental. After renting a storage unit for the first time, make sure that the items that you are storing are properly packed and ready for storage. Following basic packing tips will help keep your items protected while they are in a storage unit. When packing your items in the storage unit, organize the items so there is an aisle down the middle to the back of the storage unit. Place large appliances and electronics towards the back and frequently used items toward the front of the storage unit. Depending on the length of the rental, check on the items in your storage unit every few months. A majority of storage facilities offer free moving trucks to their new renters to make it easy to move items into their storage units. 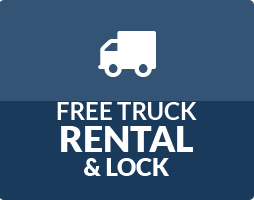 Storage World offers use of a free move-in truck when moving into a self- storage unit at their three Atlanta area storage locations. Ask a storage professional if the truck is available when you need to move into your storage unit.